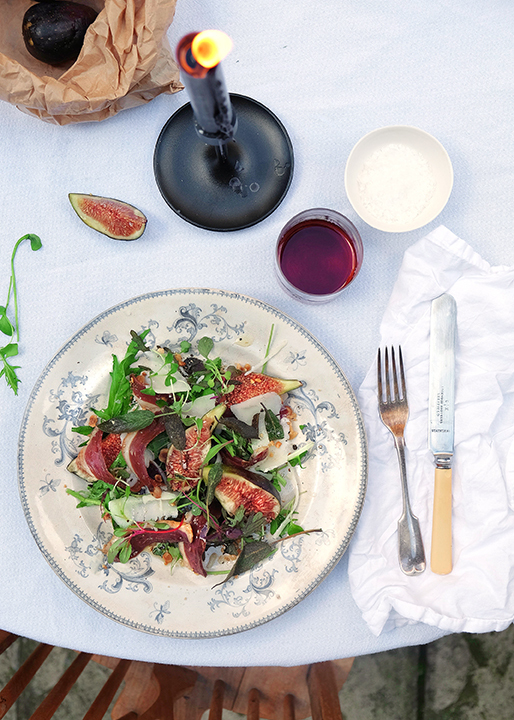 A recipe for the telegraph pairing 20 year old Tawny Port with a salad. The port with deep caramel notes works perfectly with the smokey duck and the manchego cheese. Heat a little oil in a small frying pan and add the sage leaves and fry till crisp then remove and place on kitchen paper. Assemble the salad on a pretty plate – first the salad leaves and toss with a little olive oil and salt and pepper then arrange the duck breast, figs, and hazelnuts, take a vegetable peeler and shave the manchego onto the salad, finished by the crispy sage leaves. Drizzle with a dash of peppery olive oil and a glass of 20 year old Tawny Port.